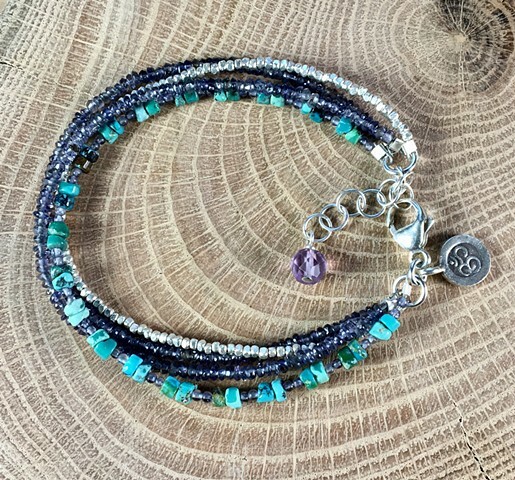 Sweet and delicate 4-strand bracelet with tiny iolite nuggets for balance, turquoise for grounding and a fine silver strand. Sterling lobster claw closure with extender chain. Approx 7 1/4-8 1/4"